After careful consideration, it is with great regret that the decision has been taken to postpone Catalyst Culture, due to take place in the Cathedral Square THIS Saturday (20th July). 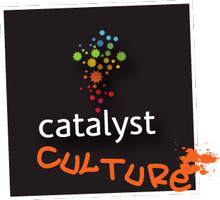 Catalyst Culture will be rescheduled to a day. To be kept up to date please keep an eye on this website or visit www.b-inspired.net. Sorry to hear this has been postponed, I am still looking forward to my first catalyst culture experience and performing for you guys too.